GOOD COACHES MAKE GOOD PLAYERS!!! but we need you to follow some steps before you can get on the field, thanks for understanding. Talk to Coach Mauro our Director of Coaching (DOC) to discuss your availability and what team/age groups you feel you would be most successful with. The city of Hollywood will send you an e-mail, to give them more information. Look for an e-mail from The Advocates Customer Care Team TheAdvocates@VerifiedVolunteers.com (check your spam folder, sometimes their invites go there). You will be contacted by the City of Hollywood Parks and Recreation Department to ensure all required steps have been completed before activating you as a volunteer. Look for an e-mail from The Advocates Customer Care Team (TheAdvocates@ VerifiedVolunteers.com); please check your spam folder. Each year EVERY coach must redo the background check so that the city can issue a new coaching badge. 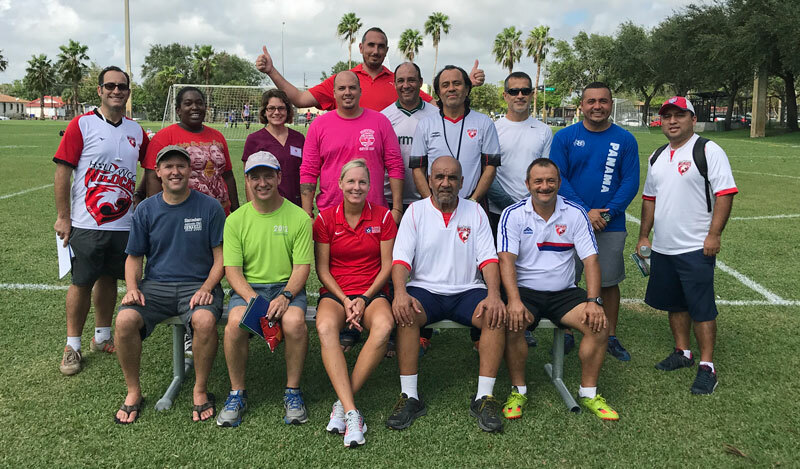 First-time coaches must take a City of Hollywood orientation course (about 45 minutes), sign Code of Conduct, Concussion Paperwork and have their picture taken. In 2016/2017 season we invested into a new Coaches Tool! Youthsoccer101 provided age-appropriate practice plans for the coaches in our club. Each plan is supported with animation/video to help you completely understand how the activities should look on the field. The plans are not only fun for the players, but they teach the correct skills based on the age group you are coaching.